I rarely have the opportunity to step on everyone’s toes. When I do have it, I examine my motivation carefully. I am not attempting to place myself above everyone, but I do believe that drawing attention to Jesus Christ in the battle against deception is of greater importance than whatever one or another person might think of me. With that disclaimer in place, let me begin stepping. Is Obama or Trump the Anti-Christ? The fact that Christians have been attempting to answer this question or even asking this question is the first great deception. Why are those identifying themselves as Christians bothering to consider this question? What purpose will it serve to specifically identify a single individual as the Anti-Christ? How will it prepare us for any end times event? What could we do to stop it, make it come about or effect it in any way? This is a deception because it draws our attention away from the fact that there is an overwhelming and much more dangerous Spirit of Anti-Christ worldwide. Your neighbors, your parents, brothers, sisters, aunts, uncles, cousins, your children, and even you are embracing this Spirit of Anti-Christ on a daily basis. Our (including myself) daily sins of rebellion are against Christ and therefore Anti-Christ. We create idols and distractions for ourselves on a daily basis many of those idols and distractions are even in our churches. Rather than worrying over who is the Anti-Christ, we need to be examining and exterminating the Anti-Christ within ourselves. I was a very strong and outspoken opponent of former President Obama and his policies. Toward the end of his term, however, I started to realize that he and his policies were only significant in the grand scheme of things, because he widened the gap between the two world views of conservatism and progressivism. Those who espouse the view of progressivism supported and defended him vehemently. Those who espouse conservatism fought against Obama and progressivism with equal vehemence, and I was one of them. President Trump has been and will continue to make that gap even wider. The two of them are stumbling blocks because those who identify themselves as Christians have been led into the fray. Those who identify as liberal or conservative Christians are continuing to be dragged in deeper and rushing, while carrying a heavy stone, to make sure they sink. Why are Christians fighting on either side of this great political gap? What stake do Christians have on policies coming from either the progressive or conservative camp? Will Jesus’ sacrifice be nullified if religious liberty is compromised? Will Jesus’ resurrection be of less importance if liberalism gets its way? I am not saying that we do not have a duty to speak out against immorality and deception or lend support to those who do speak out against those things, but in the end, changing political policies in this world is not our ultimate calling. For Christians, our kingdom is in Jesus regardless of what political climate or under what regime we find ourselves. Before we go any further into a discussion of truth, I want to define it. To define truth, I’m going to focus attention on two passages of scripture from the book of John. The first scripture identifies the preeminence of Jesus with the Father from the beginning. That is why the entire passage is in past tense. It identifies Jesus as the power of God’s Word in creation. John is drawing a distinct parallel between God speaking creation into existence and Jesus being the Word which God spoke. Life and light came to mankind through Jesus. Jesus’ light shined in the darkness and darkness was unable to comprehend or overcome it. Let’s draw the two passages together. It’s not difficult for those who are regular students of the bible, because these are not isolated passages taken out of context from the whole of scripture. If you study the scriptures, you will find this parallel over and over again. Having existed from the beginning, along with the Father, Jesus, as a part of the work of creation, is in a unique position to know everything, just like the Father. It takes very basic logic to deduce that the one who puts something together and makes it function knows more about what was created than anyone who comes along later to examine, analyze and theorize about it. Therefore, regardless of what correct or incorrect conclusions mankind draws, we will never know as much truth as Jesus, the Father and the Holy Spirit. 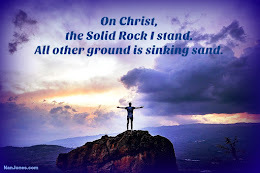 Therefore it is imperative that for us to know Jesus and consequently understand, even a portion of the truth, we must ground ourselves in the Word of God, which is the ONLY truth. That truth will stand alone and shine light through the darkness whether it is understood or not! I believe that those who are speculating about when and how things are playing out and going to play out are looking at the wrong signs, being led to stumble and causing others to stumble along with them. Am I looking forward to the rapture? I am. Am I looking forward to Jesus’ return? I definitely am. Do I think it is coming soon? I think it could come this afternoon, tomorrow, next week or at any time. I don’t believe that because of any particular set of signs being fulfilled and their meanings, but because of a great spiritual separation, which I believe to be intensifying. In the midst of this great separation between conservatism and progressivism, there is a greater separation forming between the true sheep of Jesus and the apostate church. There are those who identify as Christians but are still hung up in the kingdom of this world (not just in the U.S., but worldwide) and those who are hearing the call of the Shepherd and turning toward Him. As tribulation (testing) intensifies, that separation will grow wider. A cowboy friend put things into perspective for me more than a year ago. Though I didn’t fully understand it at the time and he probably didn’t either, Buddy said something to me that stuck with me. It’s pretty simple, but very profound. He said, “I think Hillary and Trump feed from the same trough.” It was that statement which started me thinking about what was really going to happen if/when Donald Trump was elected President of the United States. From that, I began to see the broader picture at work and began to withdraw, even to the point of removing myself from social media for several months. The understanding that the true sheep need to get a handle on is that President Trump isn’t going to change what is really taking place in our world. President Trump is not a new Cyrus that is going to set the world right again. Obama’s continuing legacy, found in his supporters, is not going to have any effect on what is really taking place. What is really taking place is a dividing of those in the kingdom of this world and the kingdom of Jesus. Those who continue to try to straddle that gap are in the most danger as that gap widens. I’m going to wrap up with an exhortation to all who are reading this. Those who are sheep will hear Jesus’ call in these words. This is the exact same parable that Jesus gave His disciples after talking to them of the end times in Matthew 24 and I think it has double meaning for us. To wrap up this post, read these words, put them into your heart and apply them to your life. To those who have ears to hear; keep oil in your lamps. Why Do Unbelievers Not Get It? It’s really pretty simple, don’t you think? Because of the fall of man, all have sinned and come short of the glory of God. We cannot be saved on our own, but require faith in Jesus, the perfect Lamb of God who gave Himself as a sacrifice for our sins, in order to be saved. By repenting of our sins, putting our faith in Jesus and trusting Him stand on our behalf before God’s judgment and declare we are justified in Him, we are saved from eternal death and damnation. Why would someone not grasp and hold onto that as though they were clinging to a life preserver out on the open ocean? Why Didn’t Someone Explain to the Jews that Jesus Is the Messiah? Didn’t anyone explain things to the Jews well enough? The Sadducees and Pharisees were experts in the law, they knew every word of the book. They’d studied it, they’d memorized it, they’d preached on it, they’d discussed it on Facebook and debated what it said many times. Surely, if anyone had the capacity to understand that Jesus was fulfilling the books of the Law and the Prophets, they would, right? The Jews Saw Jesus Doing Miracles and Still Didn’t Believe. The above discussion took place right after Jesus had healed the man beside the pool of Bethesda. A man who was crippled since youth was walking down the street and carrying his bed, but he was doing it on the Sabbath, so the teachers of the law accosted him for breaking the law. When he told them what had happened and how he’d been healed, they started to investigate further and discovered that it was Jesus who had healed the man. Instead of rejoicing in a miracle, they remained focused on the fact that Jesus had broken the law. Why Couldn’t the Sadducees and Pharisees Understand Jesus? This discussion took place after they had brought the woman caught in adultery before Him to be stoned and He had told them that He who was without sin should cast the first stone. There’s an enormous contrast here. An adulterous was given mercy while teachers of the law were told that they were of the devil. What is going on here? Aren’t those guys better than her? Wait, Why Didn’t Jesus Want Everyone to Believe? This passage is extremely difficult for many Christians to get their heads around. It seems totally incongruent with what we’ve been taught. Jesus wants Everyone to believe in Him, right? In John 17, Jesus prays for those who the Father has given to Him. In Matthew 7, Jesus says that not all of those who call Him Lord will enter the Kingdom of Heaven. 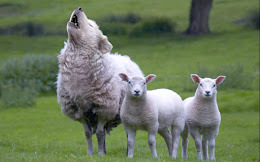 In John 10, Jesus talks about His sheep hearing His voice, that the Shepherd knows His sheep and His sheep know Him, and that those who enter into the fold in any other way than through the door (also Jesus) are wolves and thieves and neither sheep nor shepherd. In Revelation 21, only those whose names are written in the Book of Life from the foundation of the world will be able to enter into the Kingdom of Heaven. For He says to Moses, “I will have mercy on whomever I will have mercy, and I will have compassion on whomever I will have compassion.” So then it is not of him who wills, nor of him who runs, but of God who shows mercy. For the Scripture says to the Pharaoh, “For this very purpose I have raised you up, that I may show My power in you, and that My name may be declared in all the earth.” Therefore He has mercy on whom He wills, and whom He wills He hardens. The whole of scripture teaches that our salvation is a transformational miracle of God rather than a mere human choice to believe. We come to Jesus because we hear His call to us. We hear His call to us because we have been given ears to hear His call and because we are His sheep and recognize His voice when He calls. We are given these ears to hear because our names are written in the Book of Life. Not everyone hears and understands because it is not given to them to hear and understand. This is what Jesus taught. It may not fit with what you’ve heard from others, but it is what is taught by Jesus who is the Way, the Truth, the Light, the Word, the Door, the Good Shepherd, the Redeemer, the Savior and the Son of God. God doesn’t want men to save themselves. It’s as simple as that. Unbelievers don’t get it because the Holy Spirit has not opened their eyes to see it and their ears to hear it. Does that make faith less precious? Hardly! It makes faith even more precious! We who believe in Jesus were adopted into the Kingdom of God as sons and daughters. We who hear Jesus’ call, understand it and respond to it are His true sheep. He will keep us in Him for all eternity. Do not despise that miracle, but rejoice in it, give ALL glory to our Lord Jesus for His miracle of salvation and spread the good news of the gospel so that other sheep will hear the voice of the Good Shepherd and come to Him also. The video below is 100% spot on. We don't just have an inadequate understanding of God, but I'll take it a step further and suggest that the church has an inadequate understanding of Jesus, to the point that we have made Him out to be weak, tolerant of sin and wimpy. Many are going to be extremely shocked when the Lamb of God returns to RULE WITH A ROD OF IRON! Don't under-estimate our powerful savior. He is King of Kings and Lord of Lords and the LION OF THE TRIBE OF JUDAH! He will come back to take over His kingdom and the foundations of the earth will rattle with fear as every knee bows and every tongue confesses that JESUS IS LORD INDEED! Get a better view of Jesus in Our Holy Lamb. My sister Karen and I are thrilled to be releasing our combined work in a wonderful book of Spiritual Guidance, Inspiration and Christian Living. With persecution of Christians increasing, our temptation is to become frustrated and to kick against the goads. 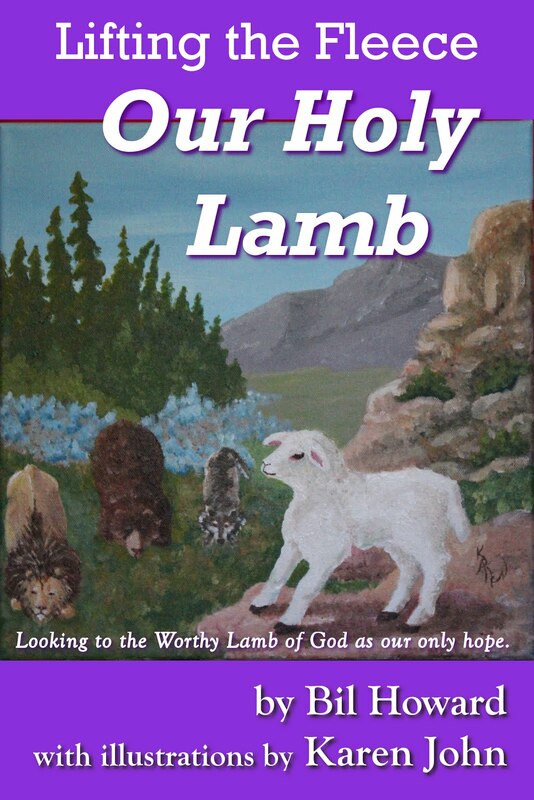 Our true answer is to look toward Our Holy Lamb. In Our Holy Lamb, the preeminent power of Jesus as the Worthy Lamb of God is displayed in both written words and illustrations. Its purpose is to motivate Christians toward fearlessly advancing forward behind the Holy Lamb of God, without looking behind them, to the left or to the right, as we march. 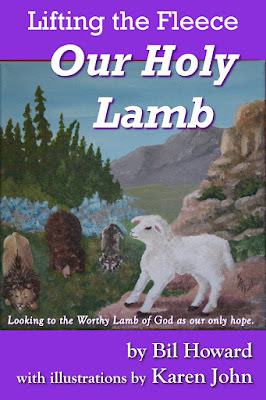 Our Holy Lamb also makes use of the lives of seven of the Holy Lamb’s great warriors as examples of how, by putting their trust in the Lord, they were able to do great things and overcome great obstacles. Sharpen your focus on following the lead of the one who will shepherd His people to living fountains; the Holy Lamb of God. LIMITED TIME OFFER!!! When you order directly from the author, you'll receive a free copy of another book by Bil Howard. A Christian Response to Troubled Times. Are We Modern Day Pharisees? I mentioned in another post, that I occasionally go and look at the YouTube videos on End Times, Last Days, etc. predictions, mostly because they are beside other news, but also because I am amused at some of the time and effort that people are putting into creating these things. I had a sobering experience about the danger these videos pose last night. As I was engaged in bible study and prayer this morning, something struck me from John 5. Before I expound upon John 5, let me explain what happened last night. I don’t want to get in too deep, because this isn’t a political discussion. My wife had gotten a video on, believe it or not, Facebook, which had her in a panic. What she was telling me and what was in the video was nothing like any of the news that I’ve been seeing and reading, so I looked at where the video came from. Let’s just say, it came from one of the sources from which I believe about 1% of what is said and 5% of what is shown. It was deception by the serpent that got us into this mess in the first place. Let’s look at the actual conversation from Genesis 3:1-5. · God lied to you. · God doesn’t want you to know and understand things. He makes things confusing and complicated. · You can be God over yourself. You would think that Satan would have gotten tired of using the same tactic and would have switched to something else, but he hasn’t. Why? He hasn’t switched because this approach is extremely powerful. You doubt God’s veracity, you think those fundamentalists are just keeping you from knowing things and believing what you want to believe, and you can do what you want. Earlier, in John 5, Jesus had healed a man beside the Pool of Bethesda. The man had had his condition for 38 years. You would think that healing a man of a 38 year infirmity would have been an occasion to see that God really was working through Jesus, but Jesus did something that the Pharisees simply couldn’t get their heads around. He healed the man on the Sabbath and, if that wasn’t enough, He had told the man to carry the bed he had been laying on back to his home. It sounds ridiculous to us, but to the Pharisees, who did not have the New Testament testimonies in order to look back on the books of the law and the prophets, it was too much to take. After all, no one from God would break the laws of the Sabbath. When they started questioning Jesus about it, He only made it worse, in their eyes. He claimed that He was equal to God. Jesus addressed all three of Satan’s lies in John 5:37-40. Let’s look at how Jesus addressed each of the three lies, which were deceiving the Pharisees. 1. God lied to you. “And the Father Himself, who sent Me, has testified of Me. You have neither heard His voice at any time, nor seen His form. But you do not have His word abiding in you, because whom He sent, Him you do not believe.” When you don’t believe God or Jesus, through your actions, you are questioning their veracity. 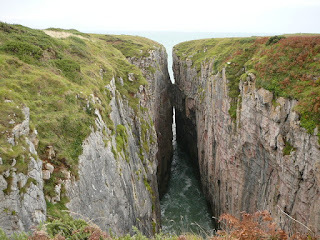 Deeper still, is the fact that His Word does not abide in you. 2. God doesn’t want you to know and understand things. “You search the Scriptures, for in them you think you have eternal life; and these are they which testify of Me.” This one is a little more difficult to see at first. Consider that the Pharisees were similar to our modern academics and attorneys; experts. They were intent on interpreting the law according to their own wisdom. Jesus wasn’t fitting into those interpretations and He was threatening to undo their comfortable seats of understanding (Psalm 1). 3. You can be God over yourself. “But you are not willing to come to Me that you may have life.” They could have believed in Jesus in that very moment. They could have celebrated the man’s healing and rejoiced that the Messiah was walking among them. Doing that, however, meant that they would no longer have their positions of power and authority. In essence, being willing to come to Jesus to receive life meant that they would have to give up being God over themselves. Because the Pharisees and those who believed the “experts” rejected Jesus as the Messiah, most of the Jewish nation rejected Him as well. After all, Jesus didn’t come in the way that He was supposed to come. The way that they were interpreting the scriptures had them looking for something entirely different. I wonder if we’re doing the same as we look toward Jesus’ second coming. I’m finally getting back around to those End Times, Second Coming, Signs of the Times and the Rapture Has to Be on February 17th videos, which I mentioned in my introduction. To begin with, most of them are wildly speculative and try to fit puzzle pieces together that weren’t meant to fit together. The church is being deceived. How could I make such a statement? There are a number of reasons, which I cover in another blog post called Christianity Is Drifting, but I also believe that those who are making the videos are looking at the wrong signs and expecting things to happen in a specific series of events. Jesus is, once again, a stumbling block to those who try to wrap their own wisdom and understanding around Him. I’ll admit that I’ve been tempted to get wrapped up in watching the end times signs develop. I almost got to the point of believing them and looking for the series of events to continue in an orderly step by step all the way up until the rapture happens and all hell breaks loose on earth. Some of these arguments seem very sound and reasonable when you search through the scriptures and interpret them in a way that supports the theory, which is exactly what the Pharisees were doing. They had theories of the Messiah based on what they’d read and studied in the books of the law and the prophets, but they were wrong, just like so many of the theories of the rapture and final judgment which have been tossed out there over the last four or five years. So, if the systematic progressions of Revelation being fulfilled are the wrong signs, what are the right ones? I think they are signs of the Spirit. Don’t get nuts and think I’m going Pentecostal. When I speak of signs of the Spirit, I am referring to actions and attitudes that are in hearts and minds rather than visual ones. That statement sits between two others that give a clue to its meaning. The one before it says that no one except the Father knows when these things will happen. The one after it says, essentially, they were going on about their regular, daily lives. Do you see the spiritual implication in there? Let me point it out to you. Noah and his family were saved from the flood because they were focused on their faith in God’s promise (they believed God was telling the truth) and God’s business (working out their salvation). They were not being sidetracked by worldly pursuits. Our worldwide culture is sidetracked. You only need to look at how much time people are spending time with their faces focused on their smart phones to recognize this truth. Jesus is speaking of false prophets who come in His name. The phrase, “the devil is in the detail,” come to mind. The great deception that is being passed off as being prophesy is in charts, and graphs, and digital star charting that predicts star positions, and cleverly constructed theories. Whatever figure is fashionable as being evil is the new anti-Christ. Every single one of these theories of when the end is coming has been false and every single one of them that comes in the future will be false as well. Why? Because NO ONE knows, except the Father. NO ONE, included Jesus. (Matt 24:36) These theories are not based in what Jesus has told us, but upon interpretations that we make for ourselves. Besides the false prophets, we are being deceived constantly. The fake news is accusing fake news of being fake news while the real fake news is falsely claiming to be the real news and accusing the real news of being the real fake news. I don’t even have to explain that to you. Truth no longer matters. Verifying facts no longer matters. Recanting an error or correcting a falsehood is unheard of. The phrase, “that might be true for you, but it’s not true for me,” isn’t used out loud any more, but it is certainly in the heart and mind of the vast majority of people across the face of the planet. If you don’t believe me, declare a solid biblical truth in a discussion on a social media site and see what happens. There is NO regard for the truth any longer. The vast majority of people in our world are concerned with one person and one person only, that includes Christians, that probably includes you and it definitely includes me when I’m not focused in the right direction. That one person is themselves. In an individual sense, this has always been true as men battle to put off the old man and allow the new, born again man to take over. What I’m speaking about, is on a broader, worldview sense. Those of you from my generation and older, will remember a time when people weren’t so completely self absorbed. Remember when men used to open doors for women? A man would open a door, let his wife, girlfriend, sister or whomever pass through and then pass through himself. If another man came along behind him, that man would take the door from the first man and hold it for those with him and so on and so on. I have stood for five minutes, on many occasions, while one after another, after another, after another men passed through the door without taking it from me. It seems unimportant, but it really isn’t, it is a reflection of the spirit of self-absorption that permeates our world. Don’t believe me? Go back to the smart phones and social media. Ultimately, what is our worry over these things? Keeping ourselves connected with other people has become more important than staying connected to Jesus. Trust me, I struggle with it too. Keep building our arks. Not the answer you were expecting? Think about it for a minute and it will make sense to you. Go read Genesis 6, 7 & 8 if you need a refresher. Noah didn’t spend all of his time talking about the coming flood. He responded a few times, but he built the ark. He believed what God had told him, he followed the directions that God laid out for him because he had absolutely no idea what an ark was, let alone how to build one, and he didn’t try to be his own God. Noah didn’t create elaborate charts of how and when the flood was going to come. He didn’t try to set a date. He stayed busy working on his salvation and the salvation of those around him. · Believing that Jesus is who He says He is, and is not lying to you. · Believing that knowledge and wisdom in Jesus is revealed to us by the Holy Spirit and the Word of God and not by our own wisdom, understanding and personal experience. Even with the best of intentions, we can and do err. · Allowing Jesus to be your God rather than trying to be your own God.